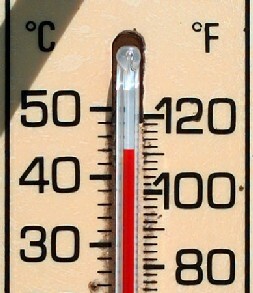 August 2010 may go down in history as one of the hottest summers in our lifetime. The building of an Islamic Center in New York City (Not a mosque, and not at Ground Zero, but in the vicinity). Bishop Mark Sisk of New York shares his thoughts. What is the root of all this? I believe it is the increase of the Rich/Poor Gap as well as the growing diversity of our country. This gap has always been with us, but we are able to see images of each other and the issues that affect us more visibly due to technology and 24/7 news feeds. While new media provides new opportunities to organize for giving (such as the grassroots responses to recent natural disasters), new media also publicize economic differences vividly. This triggers violence – not only physically, but verbally. And that’s what I believe we are experiencing this summer. Those who have “power” and were once the dominant force in politics, religion and business (aka – Anglo-European Protestant men) are now seeing themselves as a “minority” which is threatening to their underlying assumptions that God is on their side. I believe it comes down to that – power and authority. Making the other seem less than human, so that one’s self-identity remains intact and in control. I don’t listen to Glenn Beck, Fox News, or Sarah Palin. And I don’t follow the other extreme on the ‘left.’ I’m an adult – I can weed out the fiction from fact if I do some research. But what about our children? Bullying is at an all-time high in our society – could it be children are learning from our “national leaders”? What kind of role models do they find in sports, entertainment, political and religious leaders today? A great explanation of Liberation Theology from Jesuit priest James Martin posted in the Huffington Post. Just passing this Very Important Message along. I have witnessed in Germany in 1992/93 how a racist “mass rage” can spin out of control. This kind of mass rage can easily happen again in other places as well. All you need is an incident, a reason to ignite the flame. There seems to be already a broad base of people in the USA who are heavily prejudiced against Muslims, and we have seen the first “incidents” against Muslims. What would for example happen if a Muslim “hits back” and hurts a “white person?” Wouldn’t that give people a reason to “strike” against the Muslims? That’s why Glenn Beck’s and Sarah Palin’s game is so dangerous: If you whip up the masses, you might as well see some (unwanted?) results.